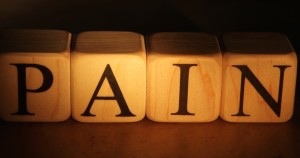 Unpublished Glasser Article on Pain | The Better Plan . . 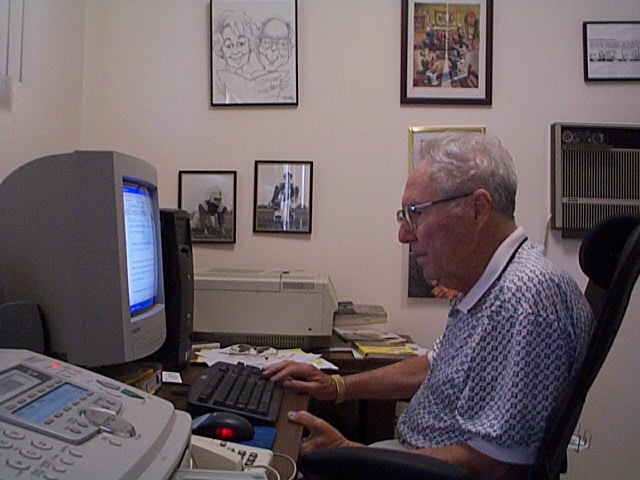 The problem of undiagnosed pain received a lot of Glasser’s attention during his career. Today’s blog is a short article he wrote on the subject of pain that, as far as I know, was never published. He wrote it shortly after the Warning book was published, and refers to it several times, yet in between he offers important advice for those suffering with chronic pain. 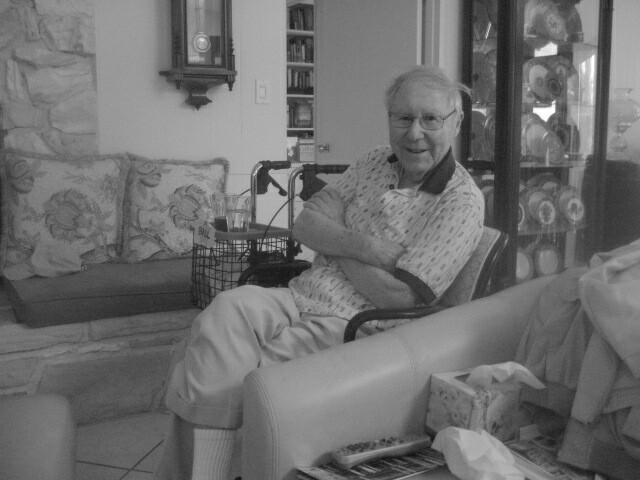 And it’s always good to hear his voice once again as you read. 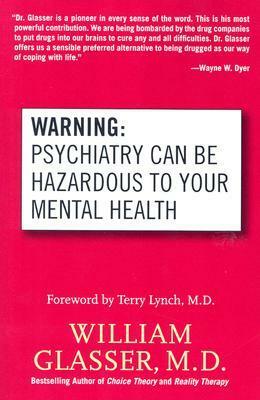 I explain in the book, Warning: Psychiatry Can Be Hazardous to Your Mental Health, how readers can learn to improve their own mental health and rid themselves of the pain, both physical and emotional, which is one of the symptoms of unhappiness. I point out that the most important component of mental health is learning to get along well with all the important people in your life but, for the sufferers of chronic pain, it may be even more important for you to make an effort to accept yourself and not to ask more from yourself than deep down you want to give. As much as you try, you may not be able to be the perfect version of yourself that you want to be. If you are mentally healthy, you tend not only to accept that the people around you are not perfect but, even more important, you aren’t either. Mostly you are happy and if you have a bad time for a while, you accept that there are many things that come and go in your life that you can’t control. There are always going to be days when it rains on your parade. If you can learn to live your life this way, you will rarely suffer from the pain, fatigue and weakness that plague millions of people who believe they are happy and well-adjusted but tend to want more from themselves and others than it is possible to get. For these competent people and the physicians who treat them and get to know them, the cause of their pain is a medical mystery. Many more women suffer from pain without a cause because in our culture women tend to ask much more of themselves than men. And are more likely to go unappreciated for what they do. Yet, they continue to strive to be the perfect wife, mother, house keeper, gourmet cook, corporate executive, wage earner, and budget wizard. Almost all of these sufferers claim if they could get relief from their pain they would be happy. They strongly reject the idea that there is a connection between what they are choosing to believe and do and their physical pain. I don’t blame these competent women for rejecting this connection when everything they are trying to do tells them otherwise. Because they are competent, I suggest that they continue to do all they can to help themselves along with anything their doctor suggests. All I recommend is that they read my Warning book and from what they read learn to put a way of behaving that I call choice theory to work in their lives. Choice theory is easy to learn, sensible and costs no money to practice. Also, there is no risk or downside to using choice theory. Accepting yourself and getting along better with the people in your life cannot possibly do you or them any harm. As I explain in the book, all I ask is that you be willing to make a sustained effort to take a good look at how much you are demanding from yourself and others. Think of all the days that you have said to yourself, “If only there were more hours in the day.” Think of all the times you have thought why do I have to do so much and “they” so little, whoever they may be. When you become willing to take a less demanding look at your life, you will discover the major wisdom of choice theory, which is I can only control myself. I can choose to continue to live my life as I have lived it or I can choose to change. Your pain is not because you lack adequacy, it is because you have burdened yourself with expectations of too much adequacy. But as easy as this is for me to say, a super competent sufferer is rarely willing to change. You continue to focus on the pain instead of the things that need to be changed. This focus may stand directly in the way of your becoming pain free. The first thing that choice theory teaches is that you are not imagining what you are feeling. Your pain is not only real, it is far worse than any pain you might suffer from an injury or a diagnosable disease. That pain heals, yours lasts or gets worse. Genetically we are proud creatures. We hate to admit that anything may be wrong with how we are choosing to live our lives when all our choices seem so important. Many people would rather suffer the pain than admit that they may be part of the problem. Read the book and find out about your quality world and how only you can change it plus a whole host of suggestions on how to lead a satisfying, choice theory life. You can do this by yourself but if you are lucky enough to be part of a Choice Theory Focus Group you will get a lot of support. If you can become as competent at using choice theory in your life as you are dedicated to everything else, you are well on your way. 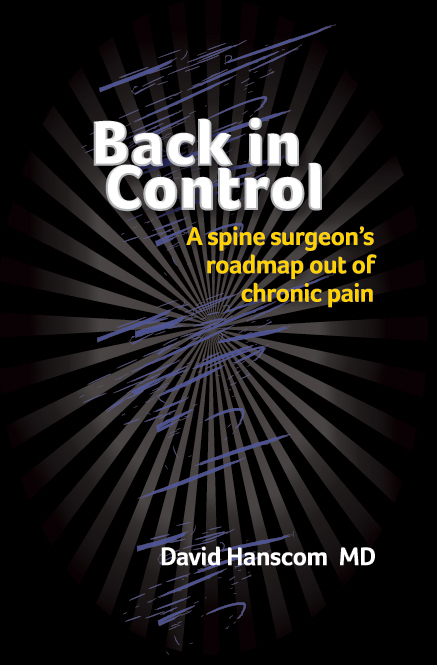 I have started reading the book I talked about in an earlier blog, Back in Control: A Spine Surgeon’s Road Map Out of Chronic Pain, and I am excited about the profound similarities between Dr. Glasser’s and Dr. Hanscom’s views. The link to the previous blog is below. If you are dealing with chronic pain I encourage you to check out Back in Control. 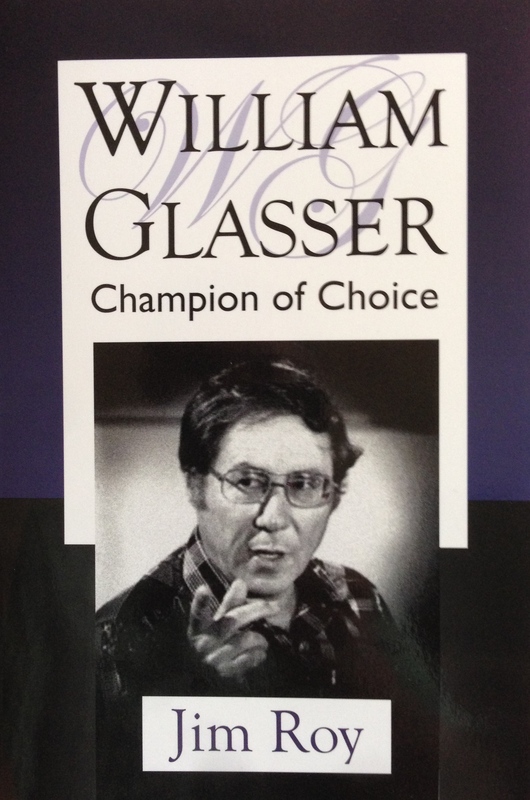 Get a digital version of the Glasser biography at Zeig, Tucker & Thiesen Publishing. Just click here. Thankyou Jim. I am going to re read “Warning….” as I suffer from chronic arthritis in my knees and yes! I do have high expectations…..a great reminder to accept that all is not perfect but I am grateful for what I have. Hi Jim and Happy New Year! Thanks for this very important article. Any chance we could repost this post on our Mental Health & Happiness site? We would only use the first paragraph or so then send them here for “the rest of the story.” I think this would be great for all people who read our blogs on Mental Health & Happiness. It certainly is ok if you feel you must decline, Jim. No harm, no foul. Yes, you may share the article as you describe. Let’s keep getting the choice theory word out there. Jim, I’m so thankful you’re sharing information about pain. I’ve been grappling with chronic back pain for several years, and have found that, for myself, it’s a combo of physical injury, expectation of the pain, and emotional fatigue. I think Choice Theory could really help me here. I linked back to your post about Dr. Hanscom and that’s some powerful information too. Now my task is getting my mind and soul on board with healing! I read most of David Hanscom’s book and found it very interesting. I also thought how Glasser’s work and his could be combined to offer a highly successful result for anyone willing to put it into practice. Looks like you are giving it attention. Thank you for what you do. I am still reading it, however so far I am amazed at the level of agreement between Dave and Bill. If he was still with us, Bill would definitely want to visit with Dave and support Dave in any way he could.